Fashion Polish: Dior Nail Artistry Box : when nail art meets luxury! 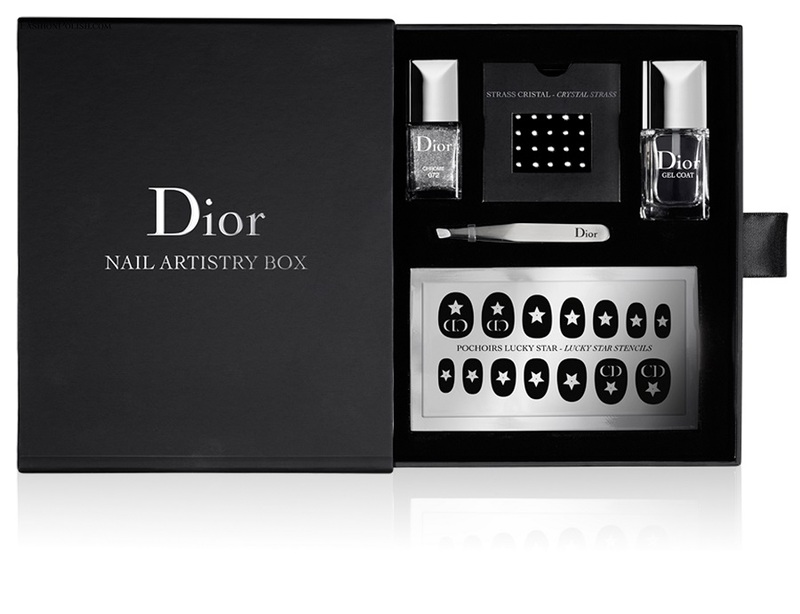 Dior Nail Artistry Box : when nail art meets luxury! Dior nailistas, there's something REALLY exciting coming : the Dior Nail Artistry Box, a beautiful, luxurious nail art set! "The House of Dior provides all the essentials for a graphic and arty manicure in a single box set: Swarovski Elements® crystal rhinestones bring a touch of fantasy for glittery and sophisticated nail art. Star and shamrock transfers decorate nails with the mark of a "lucky charm", homage to Christian Dior's superstitious side. A metallic lacquer can be applied as a backdrop or layered with the Dior transfer patterns. The Gel Coat provides spectacular shape and shine as the finishing touch to these couture looks." There's not much info for now and PR wasn't able to give me an exact release date yet but I know I'll be all over this box when it come out. I think I'd probably need one to use and one to keep untouched just for the beauty of it.